We all want to make our home that extra special sanctuary that we can return to and relax. Our home accessories, bedding, lighting, linens, curtains, blinds and rugs can do just that. The latest looks, trendiest colour palettes, and super soft fabrics can be found here. Our website gives a glimpse of what's available, with much more to see in store on the First Floor. Explore a handpicked selection of our bedding and linens, with much more to see in store. A name synonymous with quality, luxury bedding and quality curtains can help to transform a space. Bring the indoors out with our selection of garden and patio furniture, and make the most of the sunshine. Have it your way, with our made to measure curtains service, ready from only 7 days. 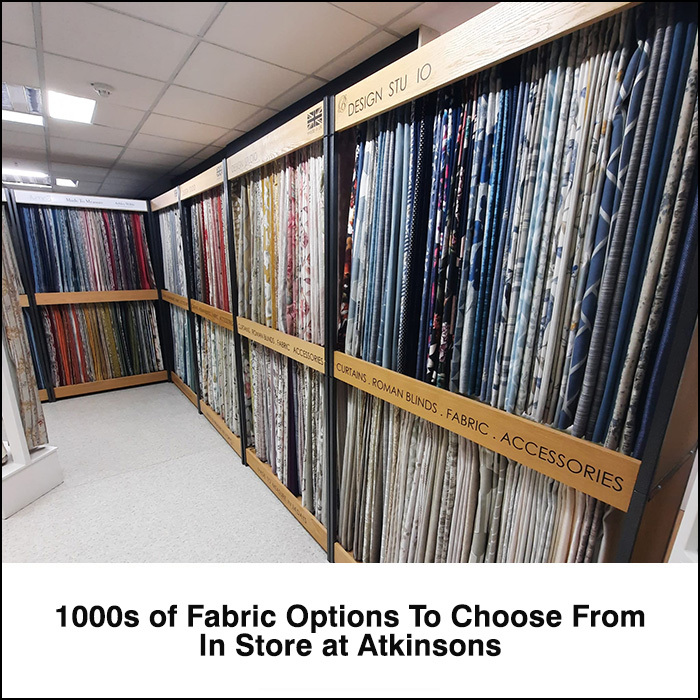 A wide array of ready made curtains of different sizes and styles. Have it your way, with our made to measure blinds service, ready from only 7 days. Make a great first impression with our range of cookwares and tablewares. This season's colour palettes are a must-see! Good for the sole, add contrast to a room and softness underfoot. Keep your bathroom right up to date with our wonderful range. Brighten up your space with lighting for ceiling, table and floor. In collaboration with Design Studio, this vibrant new collection includes a range of stunningly bold, quirky and beautiful fabrics for ready made and made-to-measure curtains.